More than 16 million fans have walked through the ANZ Stadium turnstiles since the venue's grand opening in 1999. Those fans have shared in the passion and drama of some of the greatest sporting events in Australian history. Purpose built for the Sydney 2000 Olympic Games, ANZ Stadium seats up to 83,500 spectators which helps create an electric atmosphere for live sport and entertainment. 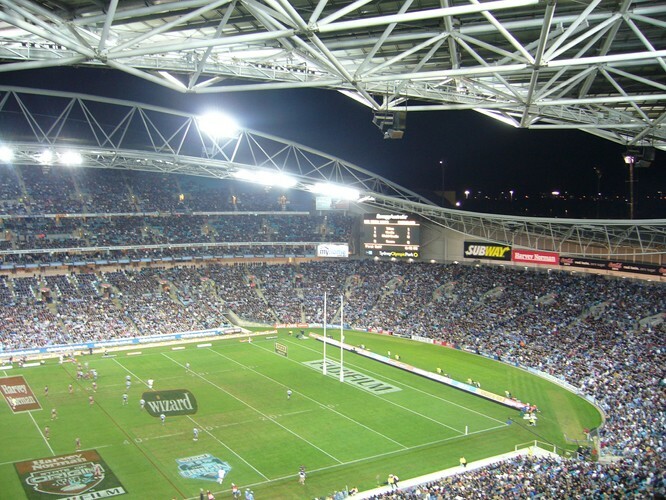 ANZ Stadium is the only venue in the world which is designed to host five professional sports – rugby league, rugby union, Australian rules, football and cricket. It has also proven the first choice for global entertainment acts including U2, The Rolling Stones, Andre Rieu and AC/DC.